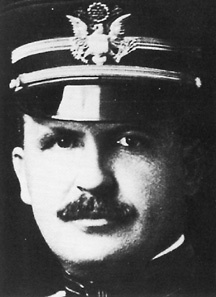 June 21, 1916: Battle of Carrizal, in which Captain Charles T. Boyd, Lieutenant Henry R. Adair, and Mexican General Felix G. Gomez are killed. Heavy losses on both sides. Twenty-three Americans are taken prisoner by the Carrancistas. Died 26 October 1967 in Vietnam, aged 29 years. Richard Klemm Boyd Jr. was born at Fort Benning, Georgia, on 9 April 1938, the only son and second child of Colonel and Mrs. Richard Klemm Boyd (USMA ’31). He often reminisced about the thrill it was for him to be sworn in as a member of the Long Gray Line following in the footsteps of his father; his paternal grandfather, Captain Charles T. Boyd, Class of 1896, killed in action in 1916, during the American expedition against Pancho Villa; and his maternal grandfather, Major General Ralph M. Pennell, Class of 1906, who served as Commandant of the Artillery Center at Fort Sill and following his retirement, as President of the Fort Sill National Bank. In addition to his father and two grandfathers, a great uncle, Colonel Karl D. Klemm, Class of 1905, and two uncles, the late Colonel Robert Pennell, Class of 1939, and Major General Osmund A. Leahy, Class of 1940, also preceded him as members of the Corps. "We then received the order to lie down and commence firing, using the battle sight (which is the way we aim our rifles when we are fighting at close range). All of our men were taking careful aim, and Mexicans and horses were falling in all directions but the Mexican forces were too strong for us as they had between 400 and 500 and we only had 50 men on the firing line, so even though we were inflicting terrible execution, they outnumbered us too greatly for us to stop their advance around our right flank. "At this stage of the game, the Mexicans ere so close that it was almost impossible to miss them, they were even so close hat it was possible to hit them with stones had we desired. After about 1 1/2 hours hard fighting they were about 30 yds. from our right flank. I tried to swing the left half of our platoon (of which I was in command) around so as to help out our platoon on the right, but it was impossible, about that time our Captain yelled out to Sergeant Page, Quote, "Sergeant Page! Good God man, there they are right upon you, and Sergeant Page responded, "I see them Captain but we can't stop them and we can't stay here because it is getting too hot." "By that time bullets were falling like rain and the Capt. ordered all of us to look out for ourselves and our men moved off the field by our left flank. No one can truthfully say that our men ran off the field because they did not, in fact they walked off the field stopping and firing at intervals. "At the edge of the field is an irrigation ditch and upon arrival at this I saw our Captain who had been shot, trying to get across with the aid of two men. I assisted in helping him across and we sat him in a dry ditch. Then I gave him a drink of water out of my campaign hat. Next I satisfied my own thirst. By that time the men were rallying for a final stand but our Captain said, "I am done for Boys, You had. better make your getaway." "And then we scattered each for his own self. One bunch started to go N.W., the direction from which we came and another bunch went S.W., but as I knew a person had a better chance for escape by himself than he would have with a bunch, I decided to go directly West to a chain of mountains which seemed to be about 12 miles away." 1916 - Early June. Pershing sends some of his troops south of his headquarters to investigate a reported troop buildup near the city of Carrizal. Two troops of black cavalry under the command of Captain's Charles T. Boyd and Lewis S. Morley were sent. Boyd and several soldiers were killed and captured by some 400 Carrancista soldiers. Some forty - five Mexicans and fourteen Americans were killed. The captured twenty-three soldiers taken at Carrizal were released by Carranza and sent by train to the city of El Paso where they were received as heroes.